When is a work a forgery or a legitimate original, a parody or an homage? These are questions raised by the German multi-media artist Christian Jankowski’s new show, Neue Malerei (New Painting), which runs until 12 May at the Berlin auction house Grisebach. The show questions ideas of authorship and market value, through a series of paintings by copyists in Shenzhen, China, whom Jankowski commissioned to produce works which are eerily similar in composition to famous paintings by Caravaggio, Hockney, Rembrandt, Van Gogh and Richter, among others. But instead of being exact copies, the scenes are composed of found images that Jankowski took from online sites such as BoredPanda.com. 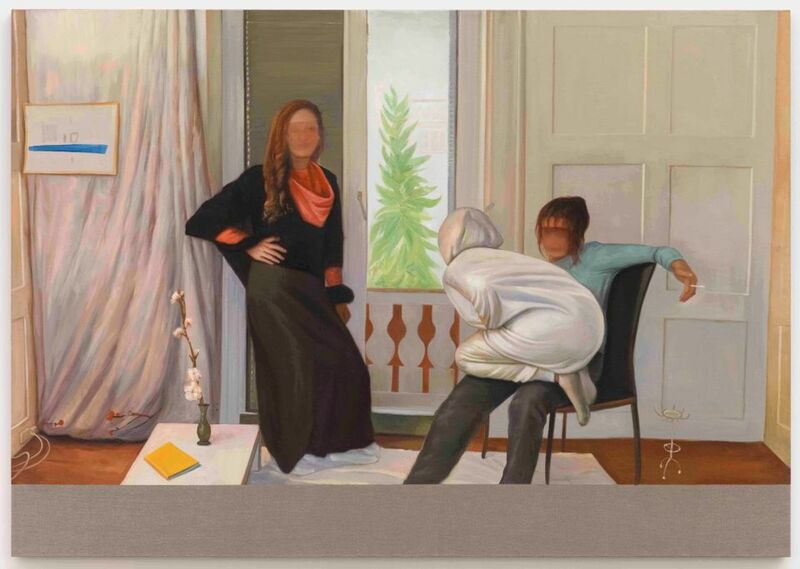 The works are priced from €9,000-€55,000 and sales proceeds will be split 50/50 between Grisebach and the artist, who is represented by Berlin’s CFA gallery, which also worked closely on the show. A painting apeing Edouard Manet’s Dejeuner sur L’herbe has already sold for €28,000, while a more politically-correct version of Balthus’s Thérèse Dreaming (the subject of recent controversy at The Metropolitan Museum of Art) is still available for €20,000. This is not the first time that Grisebach has collaborated with an artist to sell their work—last year it hosted an exhibition devoted to Mary Bauermeister, one of the co-founders of Fluxus. Jankowski is also not new to working directly with auction houses—in 2009 he organised a tongue-in-cheek performance at Christie’s, titled Strip the Auctioneer, in which the auctioneer sold off how own artist's clothes (taking them off as they were auctioned) and eventually even his hammer.